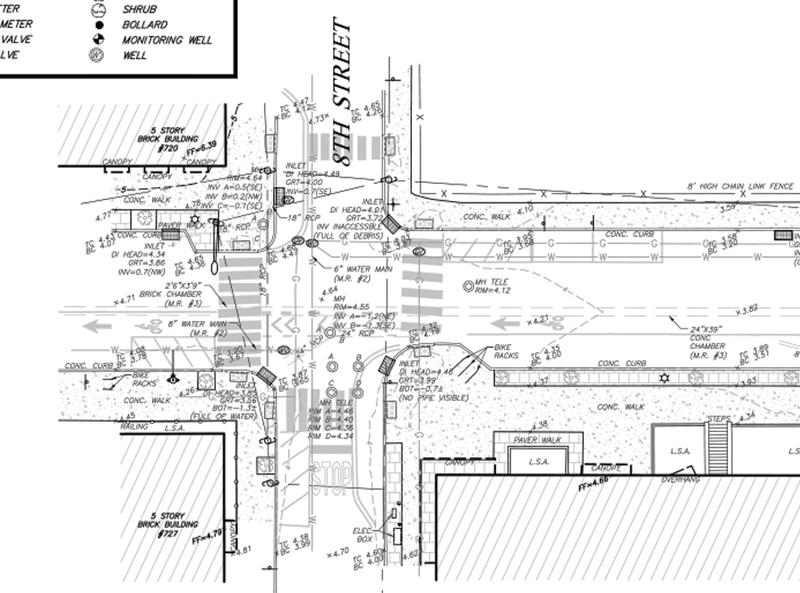 Summary of Work: Our work helped the client to record existing conditions in which city blocks of underground water main were to be replaced. In addition to existing conditions detail, this data also will support the restoration and redesign of affected areas. 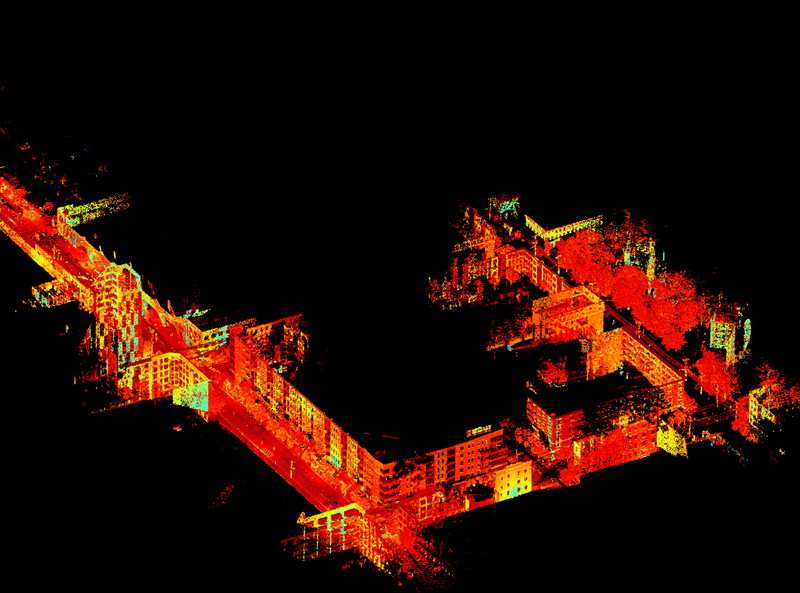 Scan data was compiled, registered and validated to establish a 3D point cloud. 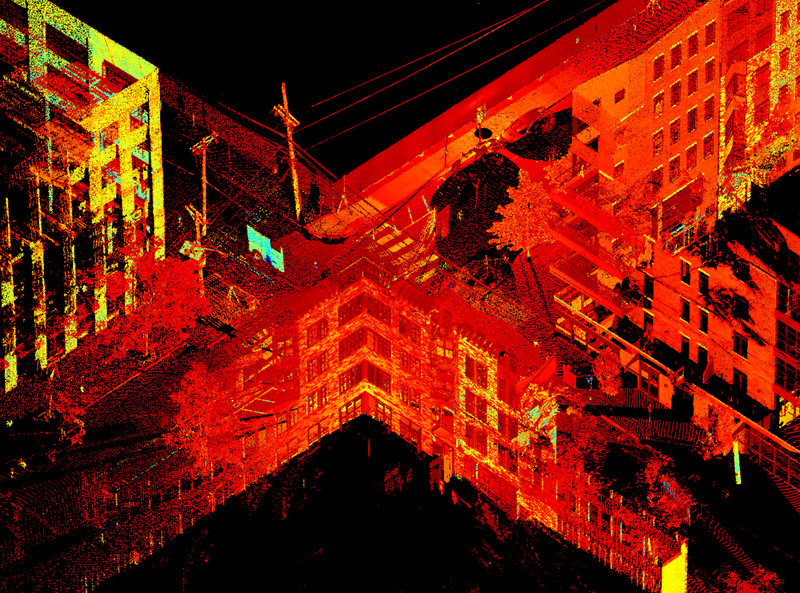 DPK utilized GPS measurements to tie the point cloud to geographic coordinates. 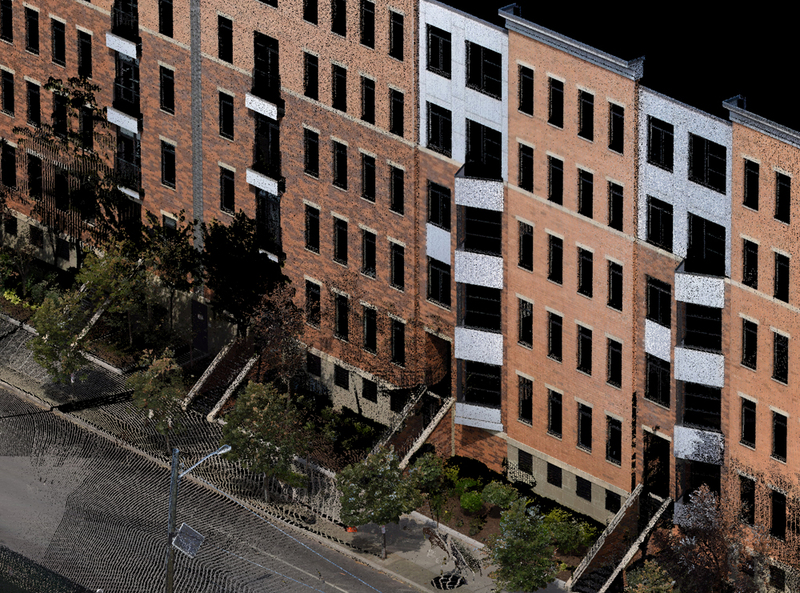 The point cloud enabled DPK to Identify and extract surface utility locations, hardscape, curbs, walkways, building lines and corners, roadway striping, tree locations, fences, cross walks and ramps.